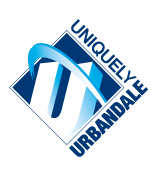 The Urbandale Community School District website is owned and operated by the Urbandale Community School District (“District”) at the District’s administrative office located at 11152 Aurora Avenue, Urbandale, Iowa 50322. Iowa, and any applicable federal law, shall govern all actions regarding your use of the District’s website. You agree to submit to the jurisdiction of the courts located in the state of Iowa, for the resolution of all disputes arising from or related to these Terms and Conditions, without regard to the choice or conflicts of law provisions of any jurisdiction. The District’s website is provided as a service to the community. Please review the Terms and Conditions which govern your use of the District’s website. By using this website you unconditionally agree to follow and be bound by these Terms and Conditions. • Sending unsolicited email including promotions and/or advertisements of products or services to the District or any employees of the District. • Collecting, using or attempting to collect or use any information about any other user, including, but not limited to, passwords, accounts or other information. • Posting, storing, or transmitting any knowingly inaccurate or misleading personal or other information. determined by the Urbandale Community School District. • Posting, storing, or transmitting any information or material that could constitute or encourage conduct that would be considered a criminal offense, give rise to civil liability, or otherwise violate any law. • Except as expressly permitted herein or on the Site, modifying, adapting, sublicensing, translating, reselling, retransmitting, reverse engineering, decompiling or disassembling any portion of the Site. • Posting, storing, or transmitting materials in violation of a third party’s copyright or other intellectual property, contractual or proprietary rights. You are solely responsible for determining whether any material you post, store, or transmit is subject to a third party’s rights. Unless otherwise noted, all materials, including images, text, illustrations, designs, icons, photographs, programs, video clips and written and other materials that are part of the District’s website are copyrights, trademarks, and/or other intellectual property owned, controlled or licensed by the District, one of its affiliates or by third parties who have licensed their materials to the District and are protected by U.S. Copyright laws. Access to the District’s website does not confer and shall not be considered as conferring upon anyone, any license under any of the District’s or any third parties intellectual property rights. All rights reserved. The District does not assert any ownership of the information submitted by you to the District’s website, unless it would otherwise qualify as work made for hire by the District. By submitting, posting, uploading, or providing any information, documents, suggestions, posts, videos or pictures, you are granting the District, its affiliates and necessary sub-licensees permission to use your submission, whether owned by the District or not. This includes, without limitation, the rights to copy, distribute, transmit, publicly display, publicly perform, reproduce, edit, translate and reformat your submission. In addition, you allow the District to publish your name in connection with your submission. No compensation will be paid with respect to the use of your submission, as provided herein. The District is under no obligation to post or use any information you may provide and may remove any supplied information at any time in the District’s sole discretion. You agree to not submit any information to the District’s website that could violate any copyright, trademark, privacy or other protected information of a third party. You agree to not submit information in violation of District policy or that would constitute libelous, harassing, degrading, abusive, obscene or otherwise illegal material. You will be held solely responsible for the content of any information submitted, whether intentionally submitted or not. This site is provided by the District on an as-is basis. The District makes no representations or warranties of any kind, express or implied, regarding the content, information, software or materials included in this site. To the extent permissible by applicable law, the District disclaims all warranties, express or implied, concerning the accessible content of this site. You agree in your use of this site to not hold the District, its employees, directors, agents, suppliers, or affiliates liable for any damages of any nature arising out of your use of this website. This includes, but is not limited to direct, indirect, punitive, or any other damages in connection with your use of the District’s website. The District does not guarantee or warrant that files available for downloading from the District’s website are free of viruses or other codes that may have destructive properties. It is your responsibility to review and scan all downloaded materials or links provided by the District’s website. The District will not be liable for any damages caused by your use of this website. The District reserves the right to alter, change, modify and correct the material available on the website, including the Terms and Conditions at any time without prior notice. Any changes shall supersede the previous Terms and Conditions without your consent. intentions of the parties, and the remaining portions of these Terms and Conditions shall remain in full force and effect. The District reserves the right, in its sole discretion, to restrict or terminate your access to the District’s website at any time, without notice. This website may contain links to and be linked from third-party websites. These links are provided only as a convenience and the District is in no way endorsing the contents of the linked site. The District in no event shall be responsible for the information contained on any linked site or your use of or inability to use such website(s). You should also be aware the terms and conditions of such website(s) may be different from those applicable to your use of the District’s website.